100 acres of magical organic dry-farmed fruits in a forest of virgin old growth redwoods. We are abundant in biodiversity, the orchards we tend to home many varieties of peaches, plums, apricots, mulberries, kiwis, pears, apples, figs and walnuts. 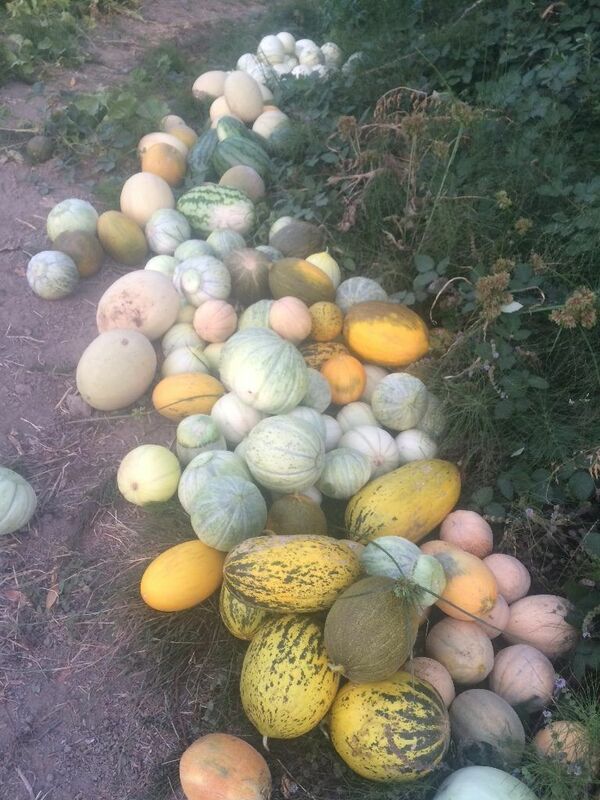 In poly culture style we interplant annuals of 60+ exotic melons, pumpkins, squash, cucumbers, gourds, tomatoes, garlic, and a smaller veggie gardens.